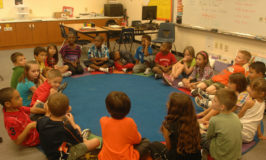 How can I create a lesson? 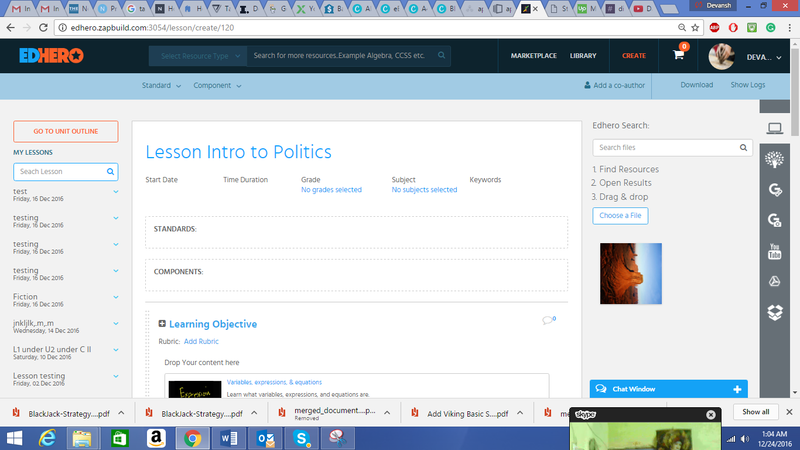 This will open the lesson editing page where you can add all the information related to the lesson. 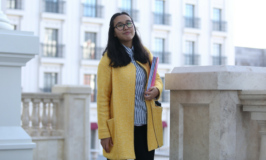 Can I attach standards to my lesson? 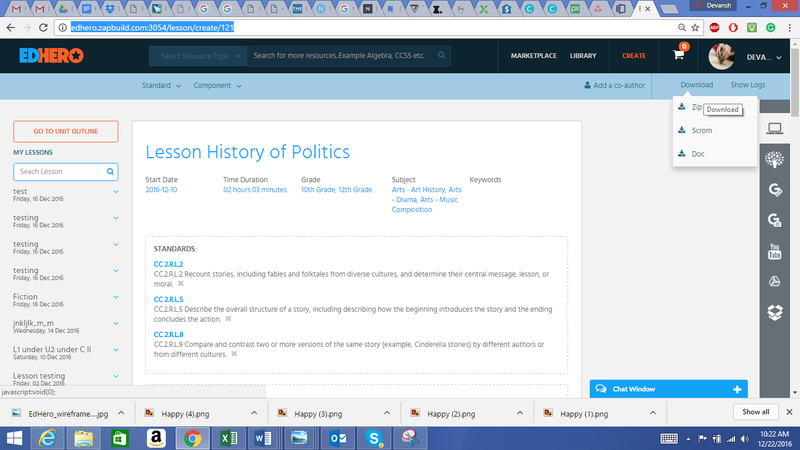 You can attach state standards or common core standards directly to the lesson, unit or the course that you create. 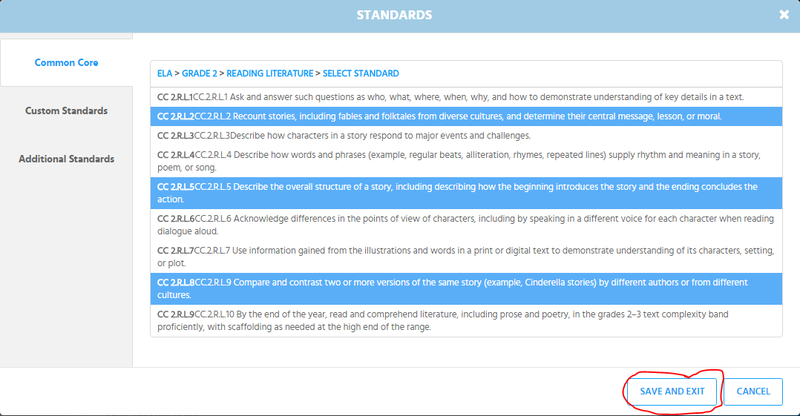 You can custom create your own standards and attach to the lessons. 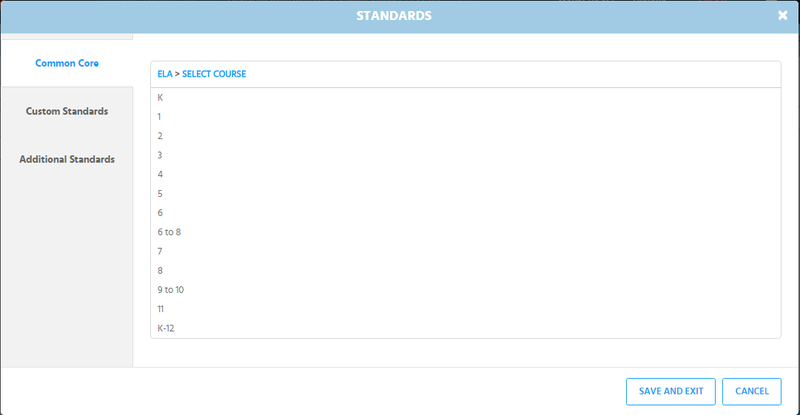 To attach “Standards” open the lesson, unit or the course to which you want to attach the standards. 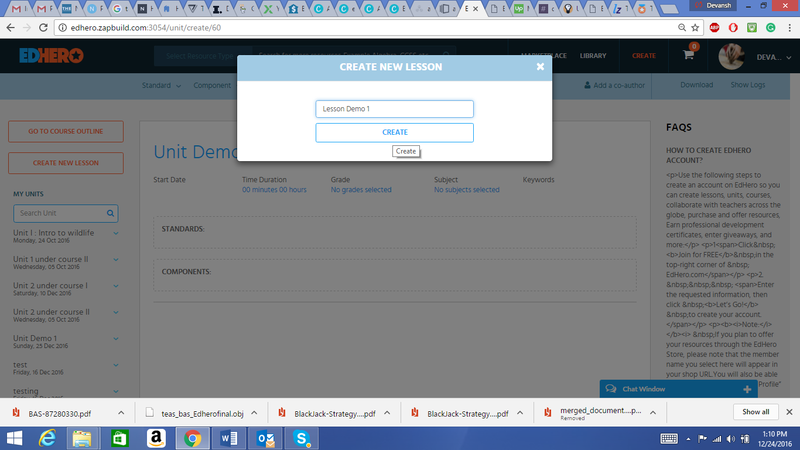 Can I download the lesson I created? How? 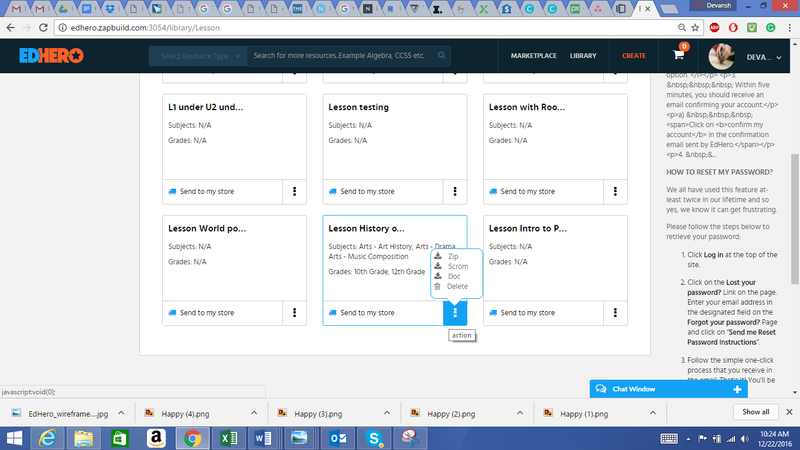 What are the items on the right side of the lesson creation page? Now, here it gets interesting. 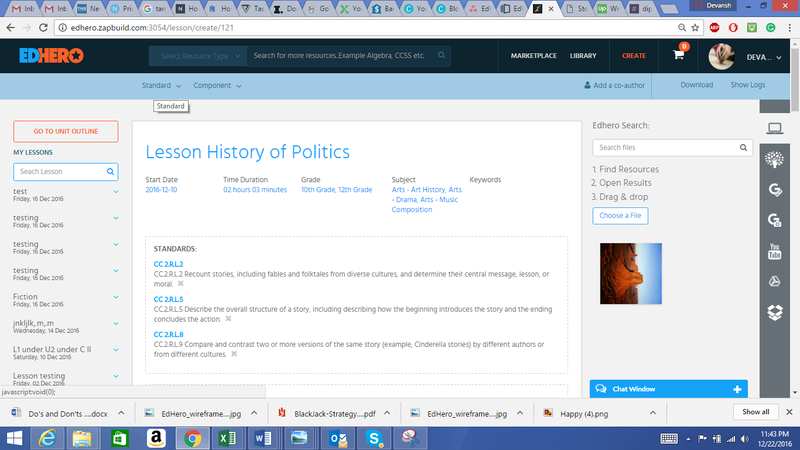 We want to give you all the resources you might need, when creating a lesson, at one place and therefore we added this right side bar to the lesson creation page. 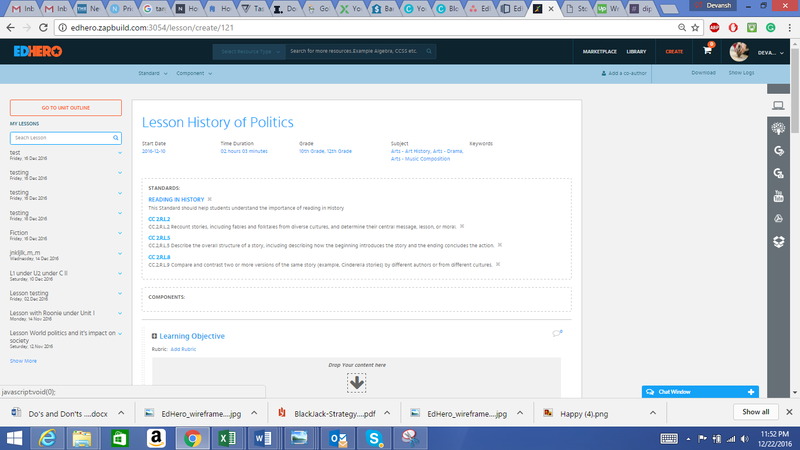 From this right sidebar, you can access Khan Academy videos and drag/drop them to your lesson sections, you can drag and drop YouTube videos, images from Google, links from Google, attach items from Google Drive and Dropbox. We will be adding more items to this bar in future based on your suggestions. If you have a suggested item that you want there then just let us know and we will include that too in the list. Note: A lesson is made out of sections (like learning objective, Materials etc.). Each section can only hold ONE dragged item at a time and if you want another item in that section then the new item will replace the initial dragged item. 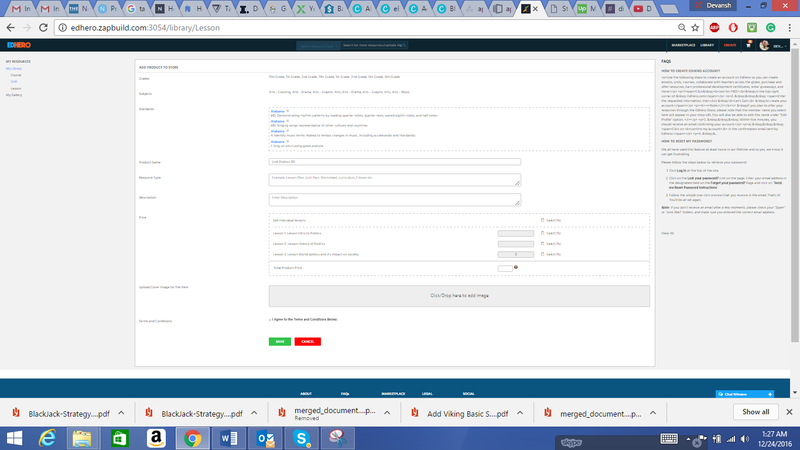 However, you can attach multiple items as an attachment from the computer using the “attach” button under each section. 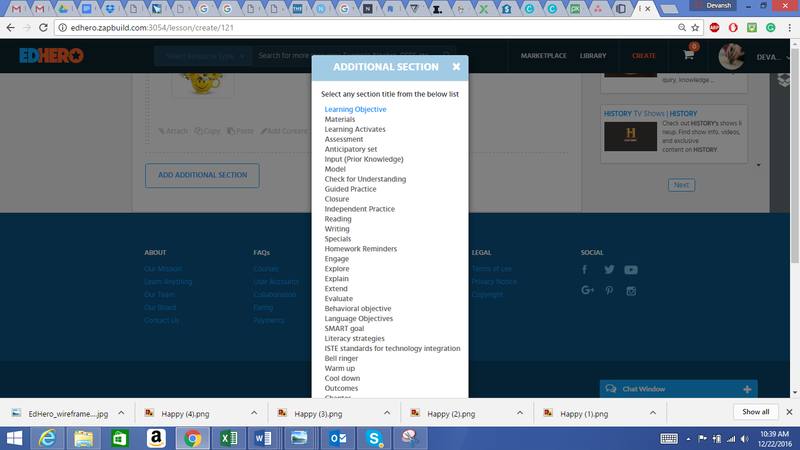 I don’t see a section that I want to use in my lesson. What should I do? If you don’t see a section you want to use then simply create your own section using following steps. 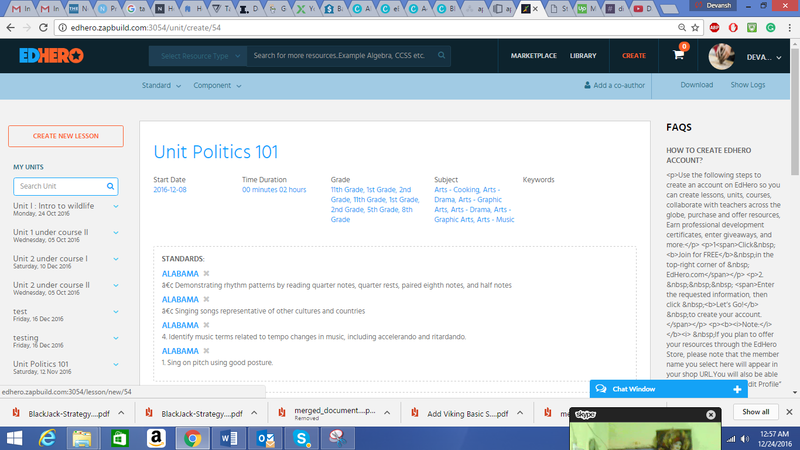 When the section is added to the lesson, click on Add Content as shown in the picture below. 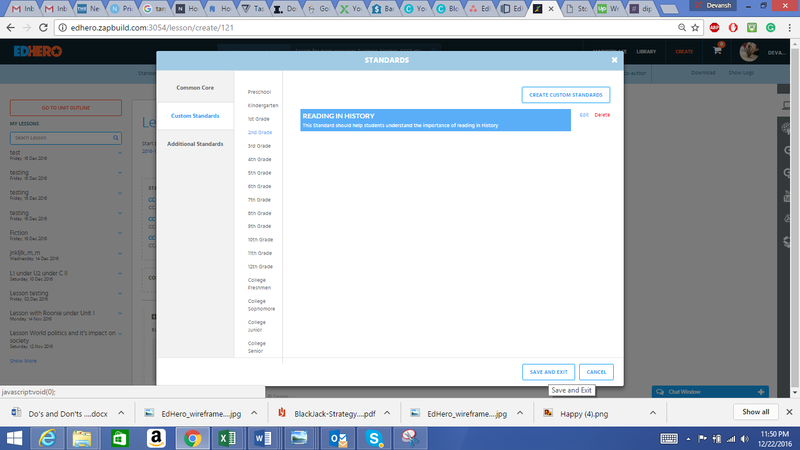 Change the name of the section to the desired name and click save. You are all set to go! 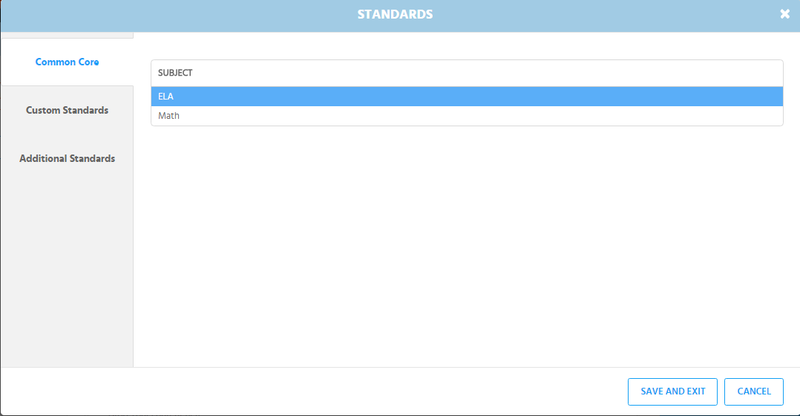 I don’t see my state standards in the standard list. What should I do now? 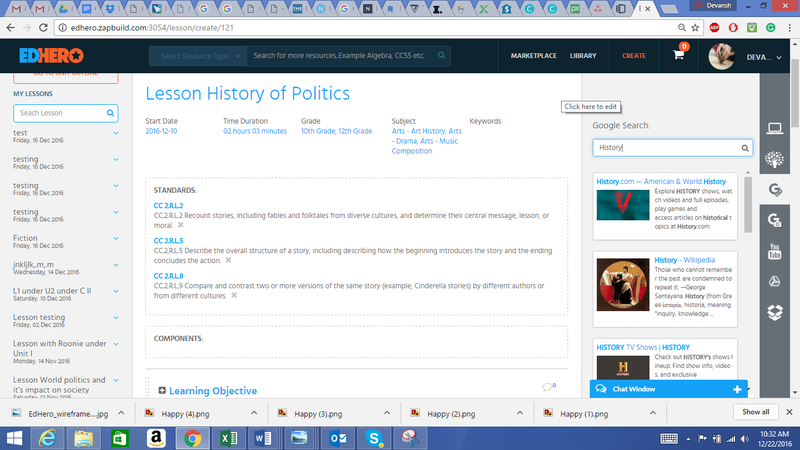 Can you please add them so that I can use them in my lessons? Absolutely. 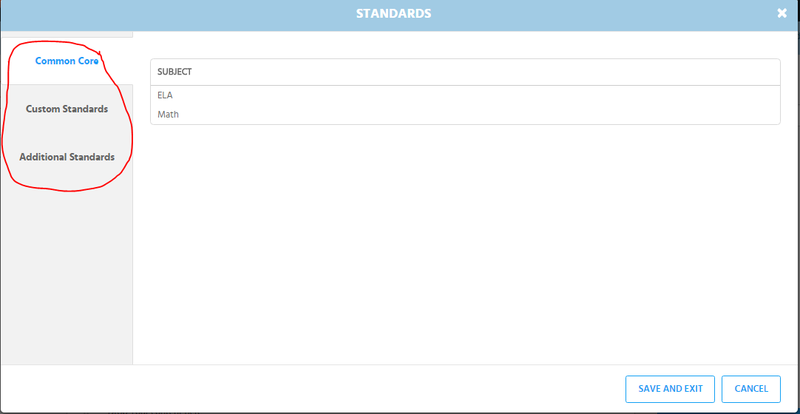 Leave us a message and we will add your desired standards in the standards list. As an alternate you can add the custom standards to your lesson if you don’t find a particular standard you are looking for. 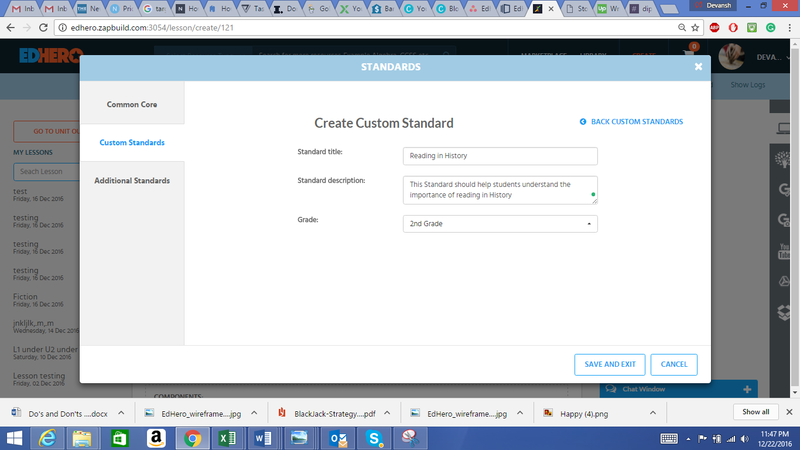 The custom standard will be added in the list of custom standards (under the grade you selected while creating it) from where you can now attach to the lesson. Can I sell the lesson that I created? How can I do that? 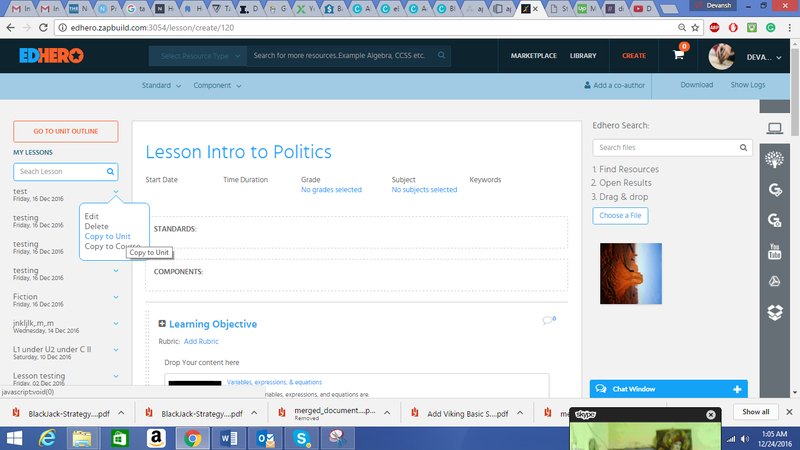 Yes, you can sell the lesson, unit or course that you have created on the EdHero platform. 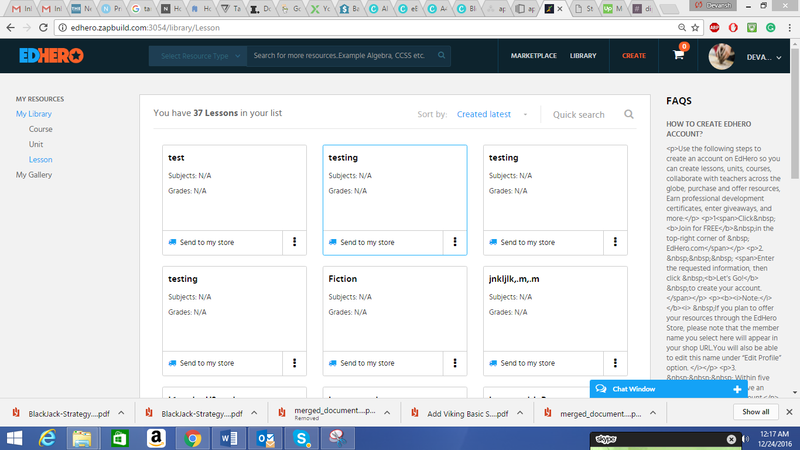 Find the lesson that you wish to offer for sale and then click on “Send to Store”. Make sure that the lesson, unit or course that you are planning to offer for sale is 100% ready for sale because once it’s on the store for sale you will not be able to edit the item (but can delete it from the store, if in case you need to). 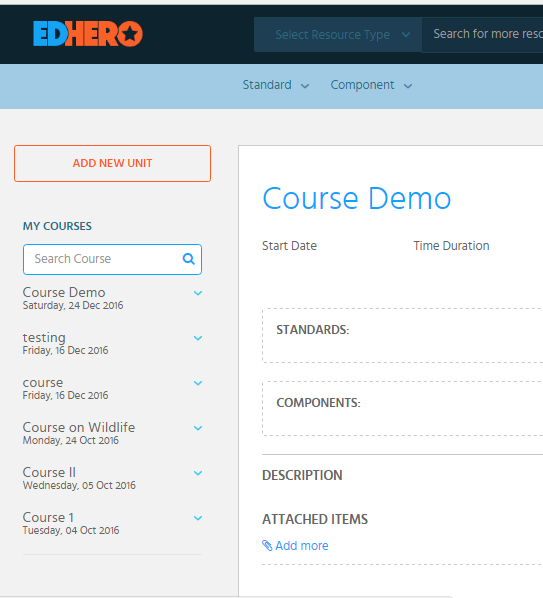 If the lesson, unit or course is created on the EdHero platform then the grade, subject, standards will automatically get filled for you. Fill out the remaining details of the product item and click on save. The product will be added to your store and you can see it under “Products on shelf” present under “My Store”. Is there anything I should know before putting my lesson on sale? Copyright – make sure you reviewed the general copyright guidelines and that your content is not infringing anyone’s rights. 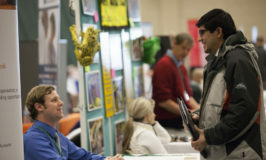 Talk to our copyright lawyer in case you need to ask anything specific. The lesson is complete and you don’t have to make any further edits to the particular version of the resource before sale. 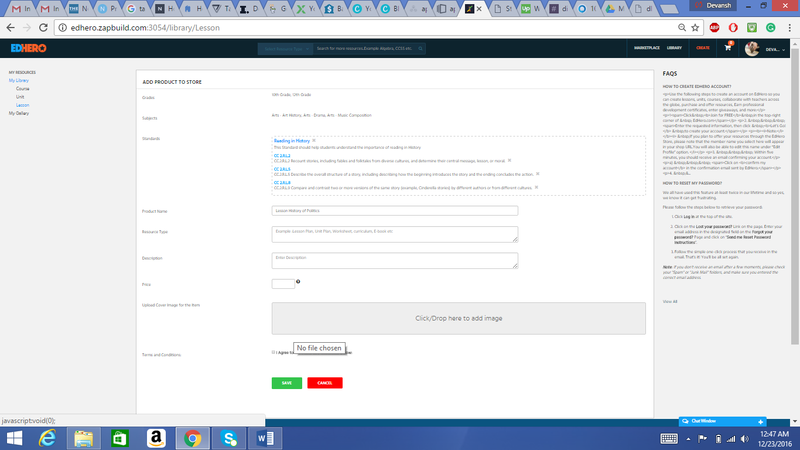 That you need to register your PayPal account with us in order for us to pay you after the resources are sold. I need to add a co-author to my lesson. How can I do that? 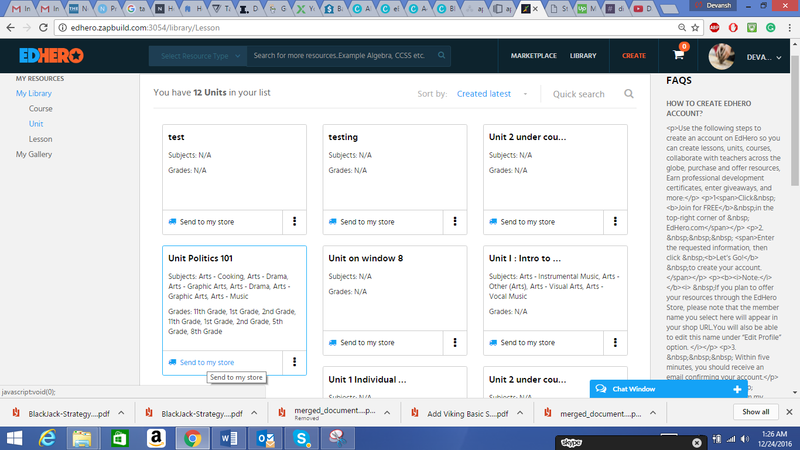 Enter the details under the Task Details tab and then click Next. 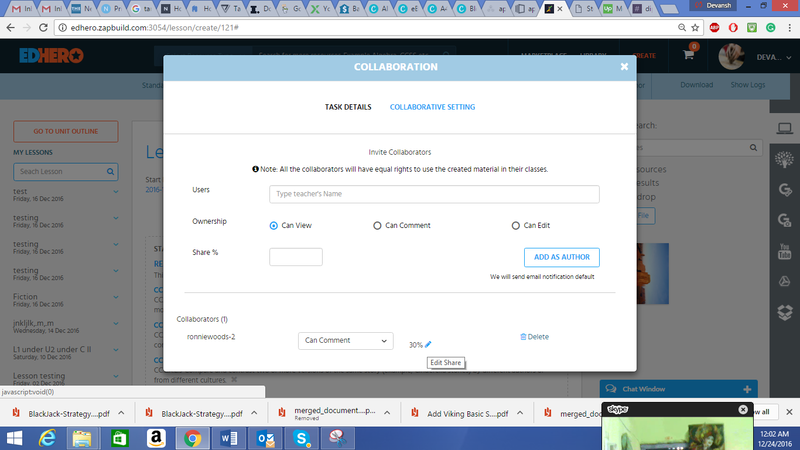 Enter the name of the teacher whom you want to collaborate with, type of permission you want to provide along with the percentage share of the resource (if the resource is sold for a price). Click on Add as Author. 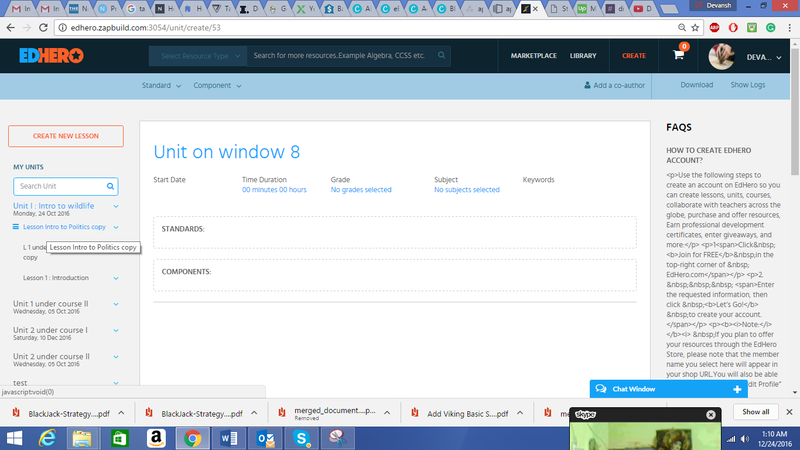 You can also edit the percentage share or change the permission of the co-author in the future. How to use a commenting system when co-authoring a lesson? 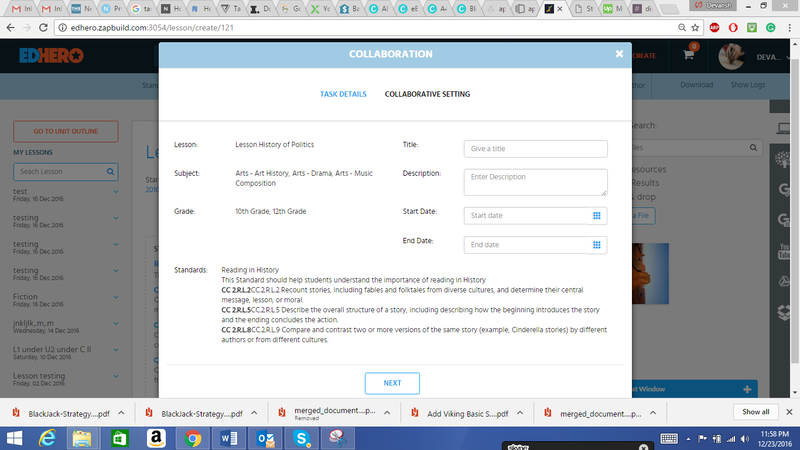 You can leave comments next to each section of the lesson and this feature come even more handy when you are co-authoring with another teacher because it helps all the co-authors meet each other’s expectations. 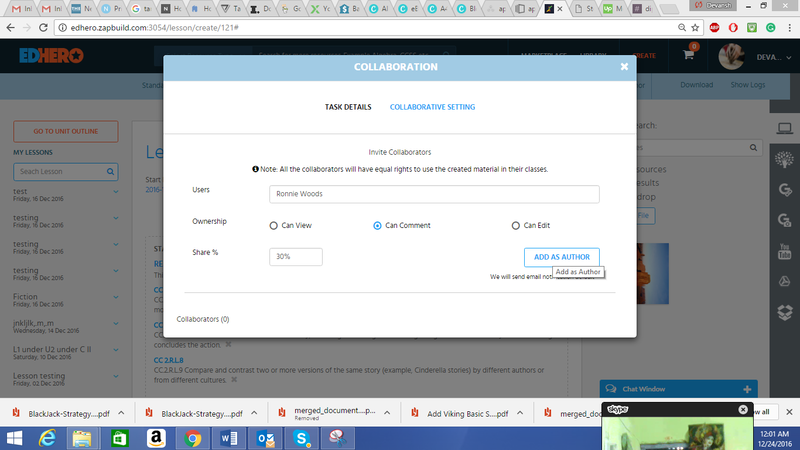 You can enter your comments for each section and your co-authors will be able to see your comments and will be able to mark them as OPEN or RESOLVED. They will also be able to comment back. Where can I find my lesson that I created in past? 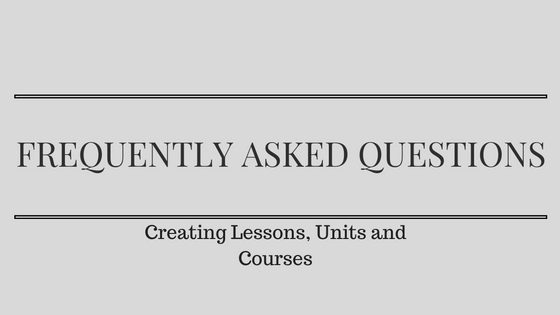 Can I combine my lessons to create a unit? How? You can combine your individual lessons to form a unit. To do that, create a Unit by either clicking on the CREATE button on the main menu or through your dashboard. 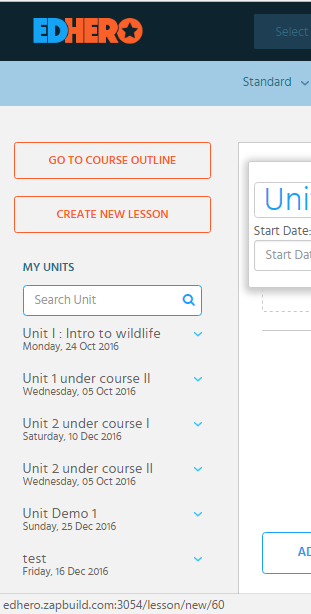 From the unit edit page fill in the details for the unit outline and then click on Create New Lesson present on the top of left-hand sidebar. 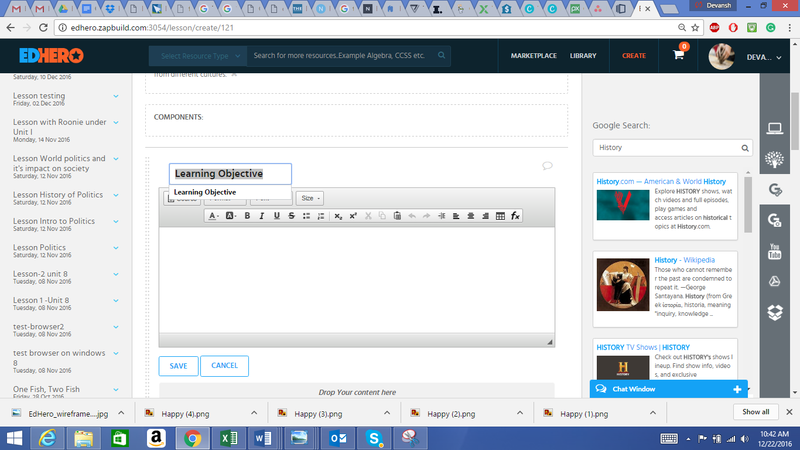 Give your Lesson a title and Start adding content to your lesson. 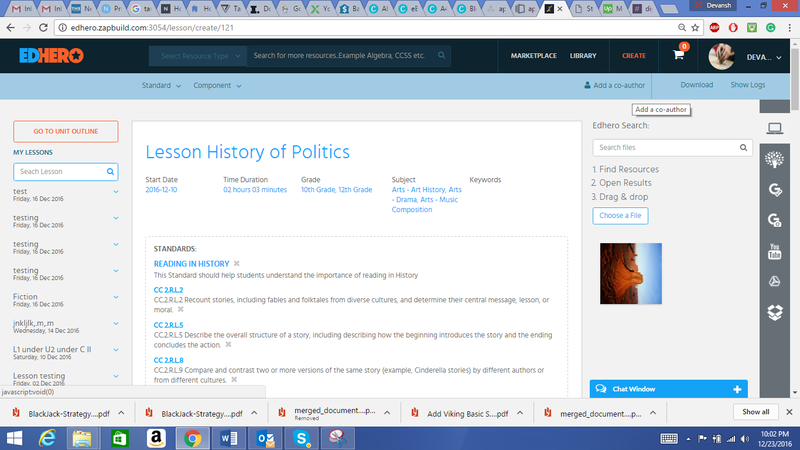 You can also copy an existing lesson to your new Unit. 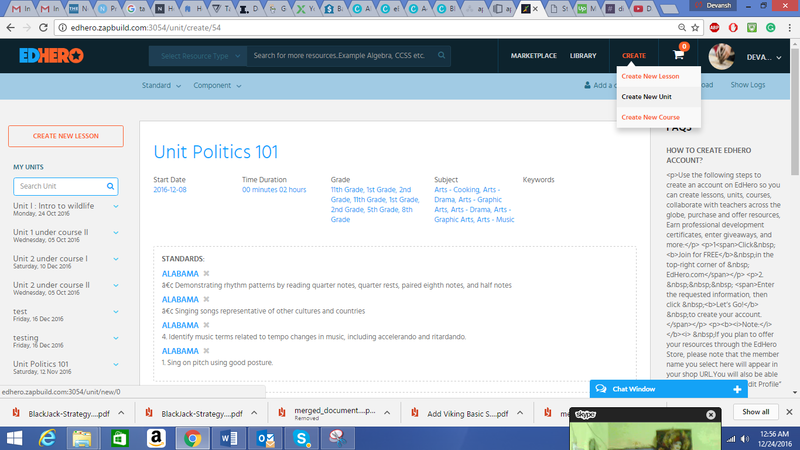 Go to “My Resources” and under “My Library” open up the lesson you want to copy to your unit. Clicking on “Copy to Unit” will open up all your units. Select the Unit you want to copy the lesson to and that’s it! Open up the Unit and check if the lesson is present under Unit. 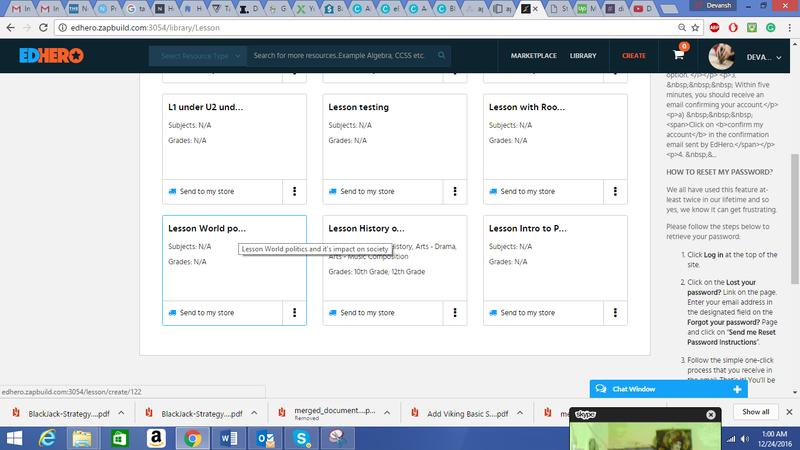 If you want to reorder the lessons under the Unit you can do so here from the left sidebar. How can I create a Unit? 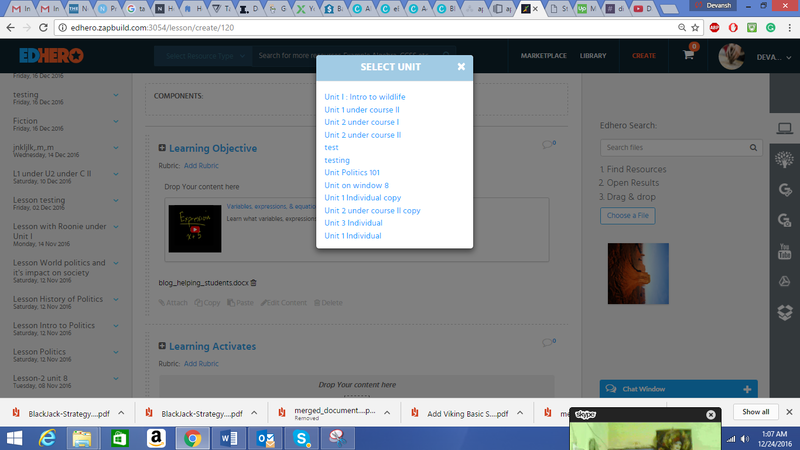 Otherwise clicking on Create a Unit option present under dropdown CREATE on the main menu. Can I upload the unit for sale? Yes. 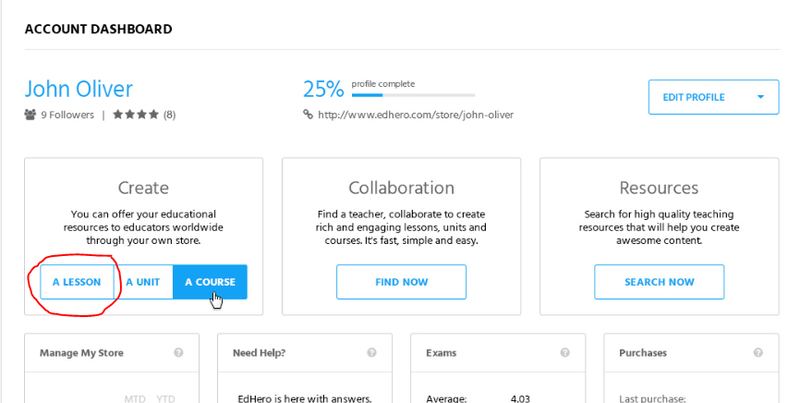 You can offer your Units to other teachers through your profile. 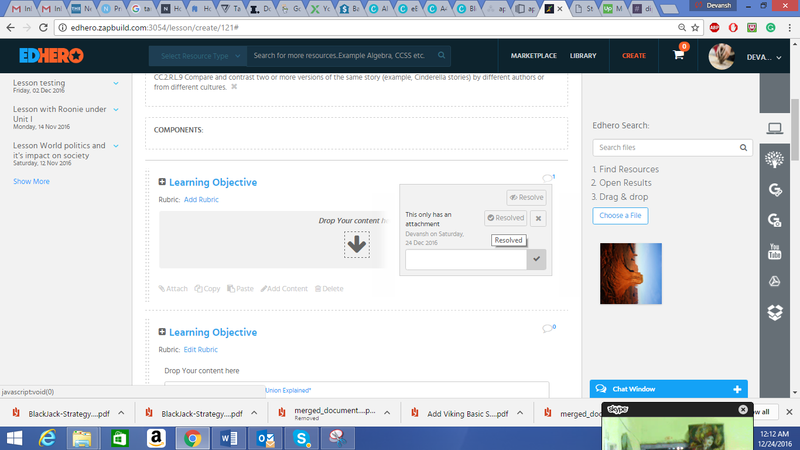 Go to “My Resources” from the top right corner. Click on “Units” from the left sidebar. 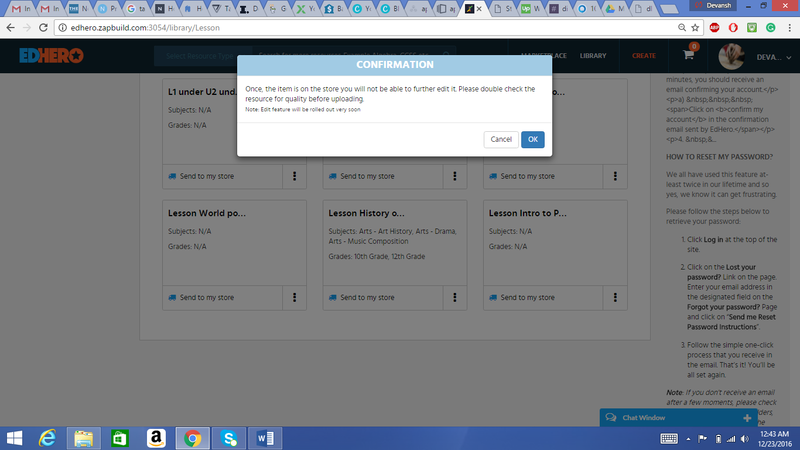 Click on “Send to my Store” for the unit you want to offer to other teacher. On the following page provide details of the unit and set a price for the unit, attach pictures and click save. 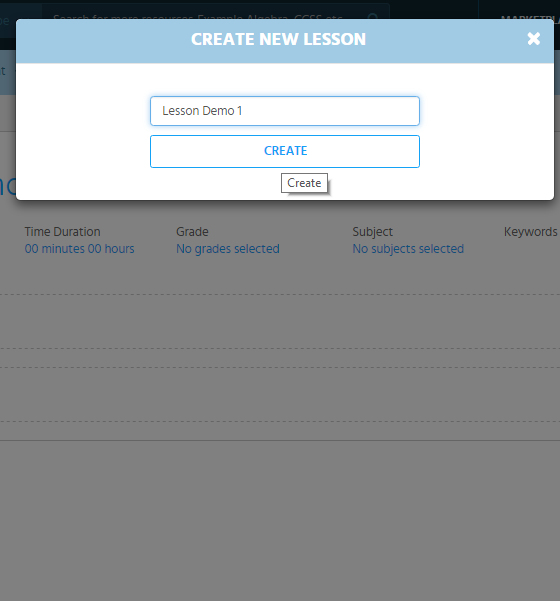 Note: you have an option to offer individual lessons of your unit for sale too. 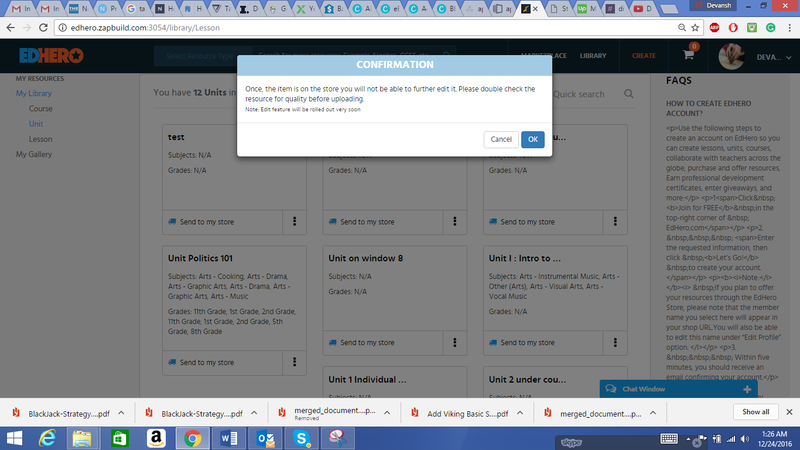 If you want to give the buyers an option to buy individual lessons from your unit then do specify this on the page that appears after you click on “Send to Store”. Is there anything I need to know before uploading the unit for a sale? 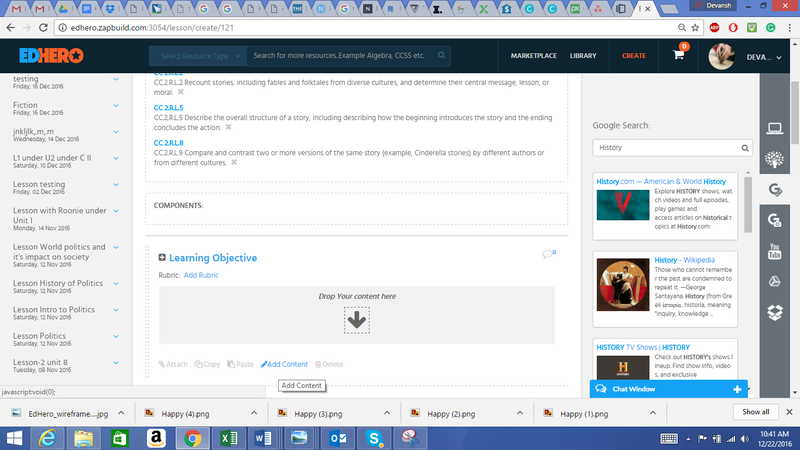 Make sure you have read the checklist for uploading a lesson. Make sure the Unit is complete and is of high quality. You will not be able to edit it after it is sent to the store. 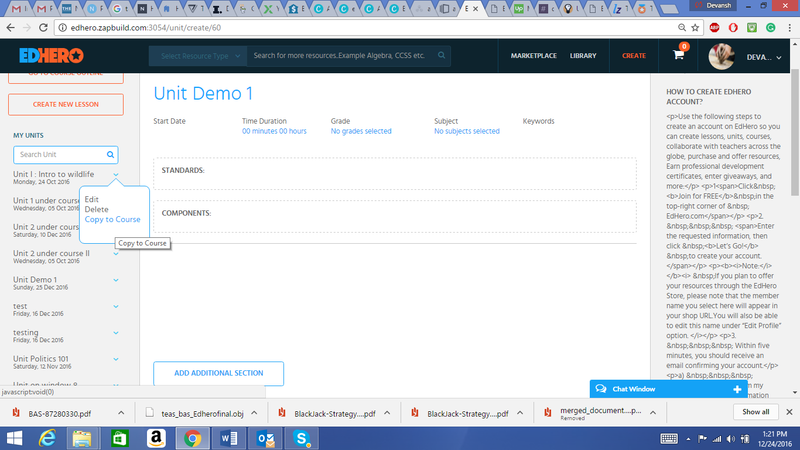 You can delete it though and make a duplicate of the Unit which you can rename as version 2 and edit this version 2. Can I buy/sell individual parts of the unit separately? In what formats can I download the units? 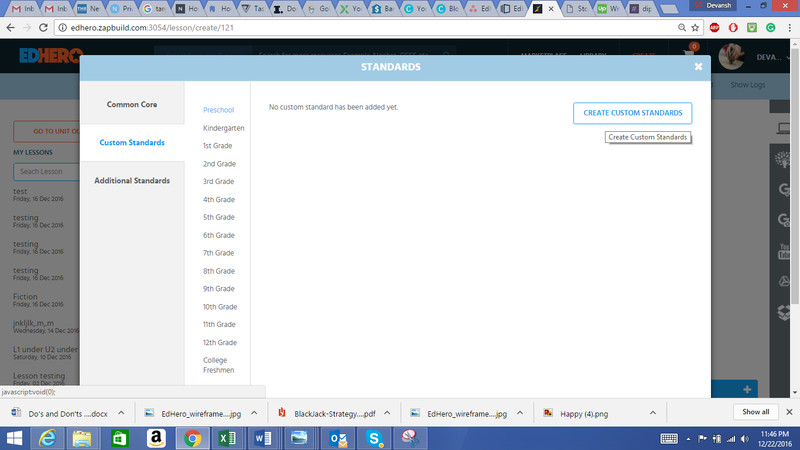 You can download a unit, which was created on the EdHero platform, in DOC, ZIP and SCORM format. Give a Title to the course, attach standards and fill in other details of the course outline. Now, add a Unit to the Course. 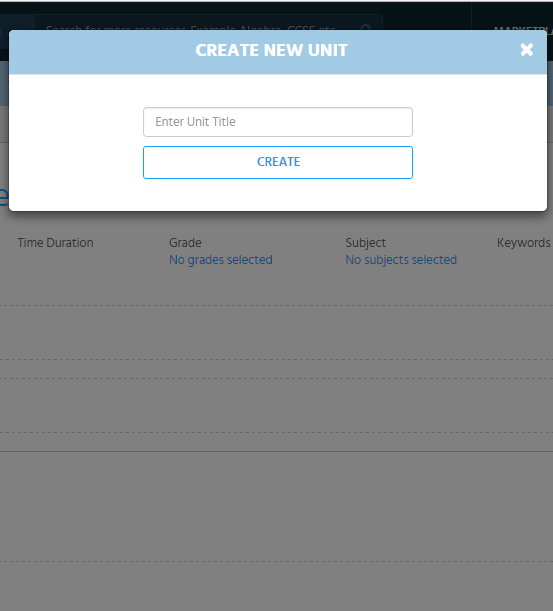 You can either create a new Unit by clicking on “Create a Unit” or add an existing unit present under “My Units”. 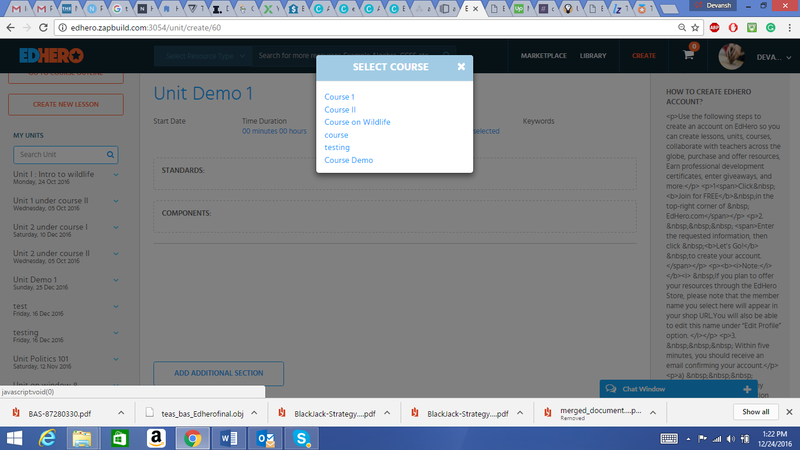 Refer to “How to add an existing Unit to a course?” for adding an existing unit. Fill out the details of the Unit outline. 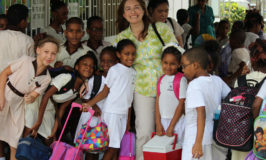 You can add as many Units and as many Lessons you want to the Course. Follow the same steps to add another Unit or another Lesson. 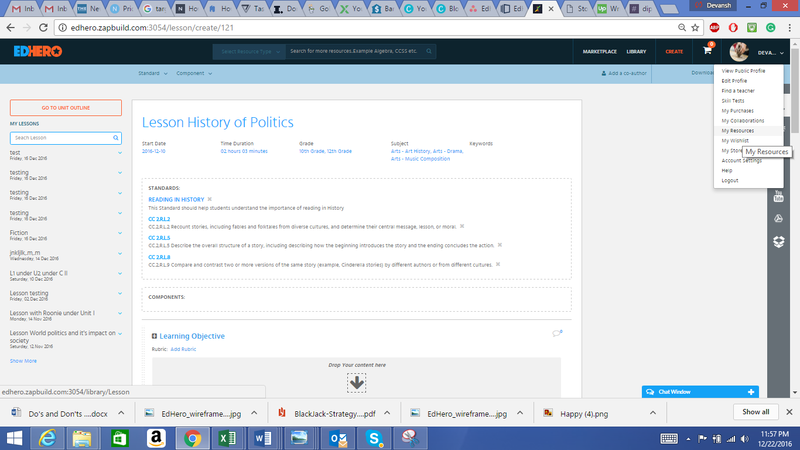 How to add an existing Unit to a course? Open the unit that you want to add to your course. 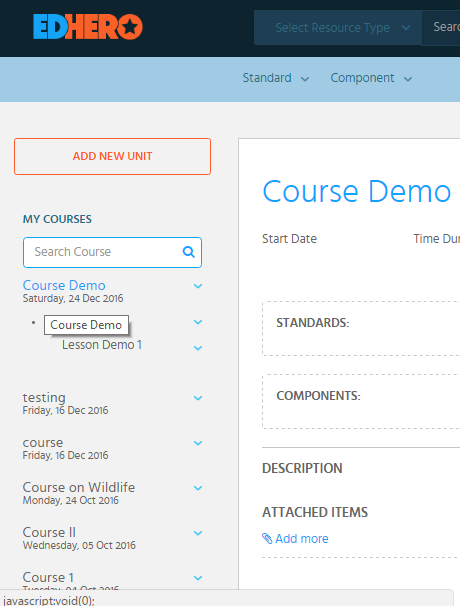 The unit should appear under the course you choose it to be copied to. 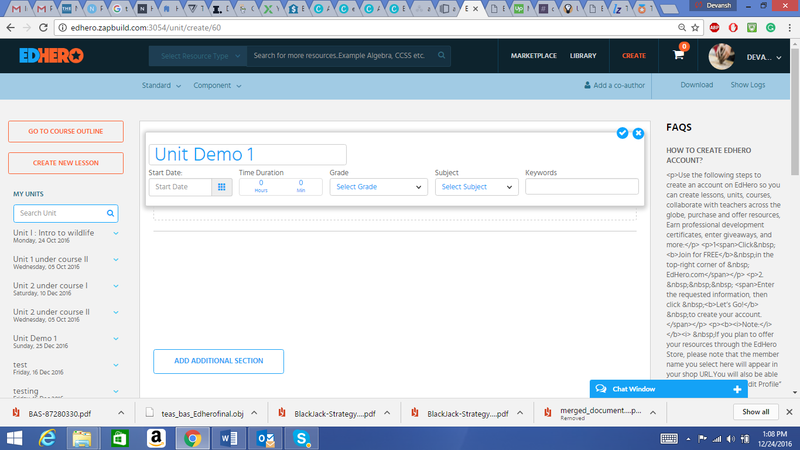 In this case, it will appear under Course Demo. From here you can reorder the units as per your needs. 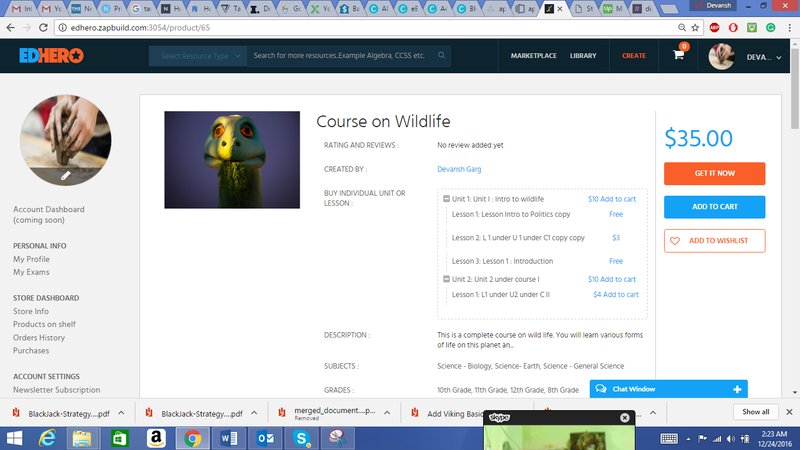 Can I buy/sell individual lessons or units of a course? Yes, Absolutely. We wanted to give as much flexibility as possible to you and therefore we have added an option where you can offer individual lessons and units of a course for sale. So, buyers can either buy your complete course OR they can buy individual Lessons and Units. This is very helpful for the buyer when he/she is trying to gauge the quality of the resource before purchasing the whole course. So, make sure that every lesson or unit under your course is of highest quality.